Baird, an employee-owned, international financial services firm, today announced that Thomas J. Murphy has joined the firm’s Global Investment Banking business as a Managing Director on its Global Industrial Investment Banking team. Murphy will initiate investment banking coverage of the Aerospace, Defense and Government Services sectors, augmenting the firm’s equity research coverage of the sector and complementing the dozen-plus other verticals that Baird’s Global Industrial Investment Banking team currently covers. He will be based out of Baird’s New York office. 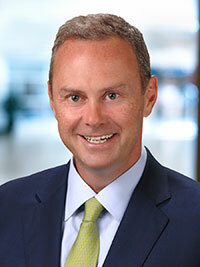 Murphy comes to Baird with 18 years of investment banking experience. Most recently, he was a Managing Director in Stifel Nicolaus’ Aerospace, Defense and Government Services (ADGS) Investment Banking practice. In this role, Murphy sourced and led transactions across the ADGS and Specialty Industrials sectors in the US, Europe, India and Israel. Earlier in his career, Murphy worked in the Industrials investment banking practice of Friedman, Billings & Ramsey. He started his career at PricewaterhouseCoopers Securities. He graduated from Georgetown University with a bachelor’s degree in Business Administration. "We are thrilled that Tom has decided to join Baird and further strengthen our respected Global Industrial franchise," said Joe Packee, Co-Head of Baird’s Global Industrial Investment Banking group. "Tom’s extensive investment banking experience and knowledge of the Aerospace, Defense and Government Services sectors will be a tremendous addition to our Industrial team, and will further solidify our position as a go-to investment bank in the Industrial sector," added Joel Cohen, Co-Head of Baird’s Global Industrial Investment Banking group. "With its deep expertise and sector coverage, Baird has an unparalleled reputation in the Industrial sector," said Murphy. "I am thrilled to bring my experience and skillset to Baird’s already strong industrial banking practice and help expand the firm’s Global Investment Banking franchise to include Aerospace, Defense and Government Services." Raised over $6.1 billion in equity/debt financing. Baird is an employee-owned, international wealth management, capital markets, private equity and asset management firm with offices in the United States, Europe and Asia. Established in 1919, Baird has more than 3,400 associates serving the needs of individual, corporate, institutional and municipal clients. Baird has $171billion in client assets. Committed to being a great place to work, Baird ranked No. 4 on FORTUNE’s 100 Best Companies to Work For in 2017 – its 14th consecutive year on the list. Baird is the marketing name of Baird Financial Group. Baird’s principal operating subsidiaries are Robert W. Baird & Co. in the United States and Robert W. Baird Group Ltd. in Europe. Baird also has an operating subsidiary in Asia supporting Baird’s investment banking and private equity operations. For more information, please visit Baird’s Web site at www.rwbaird.com.